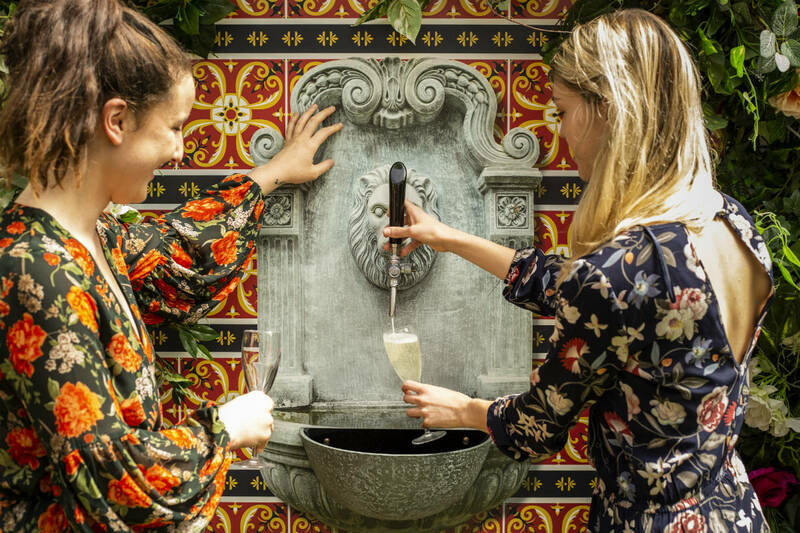 The Smith in Prahran is launching Melbourne’s first prosecco & spritz fountain on the Australia Day long weekend – and its doing self-serve, bottomless refills. The recently-renovated Prahran pub is launching Sparkling Springs Sundays on Sunday 27 January, a package which includes two hours of bottomless prosecco & spritz straight from the fountain and one item from the brunch menu (full menu at link below). Sessions run from 2pm every Sunday and are $60 per person. The session will be accompanied by a live jazz trio. The Sunday sessions are joining an experience-led weekend line up, with Brunch with Soul on Saturdays, a two-hour brunch & bottomless spritz package brought to life with a roaming gospel choir. The Smith’s Manager Andy Croucher is excited to bring a prosecco fountain to Melbourne for the first time. The Smith Head Chef Andrew Braham has curated gourmet grazing boards to accompany the drinks package, which includes corn & blue cheese croquettes, fried chicken with caviar, squacuerone cheese & crackers, chicken liver parfait donuts, smoked salmon, olives, pickled vegetables, hummus & breads and a rotating charcuterie selection. The Smith is owned by Melbourne-based hospitality group Australian Venue Co, while also operates Fargo in Richmond and the Newmarket Hotel in St Kilda. Australian Venue Co’s Chief Executive Officer Paul Waterson says that the group is always looking for new opportunities to bring exciting experiences to its customers.